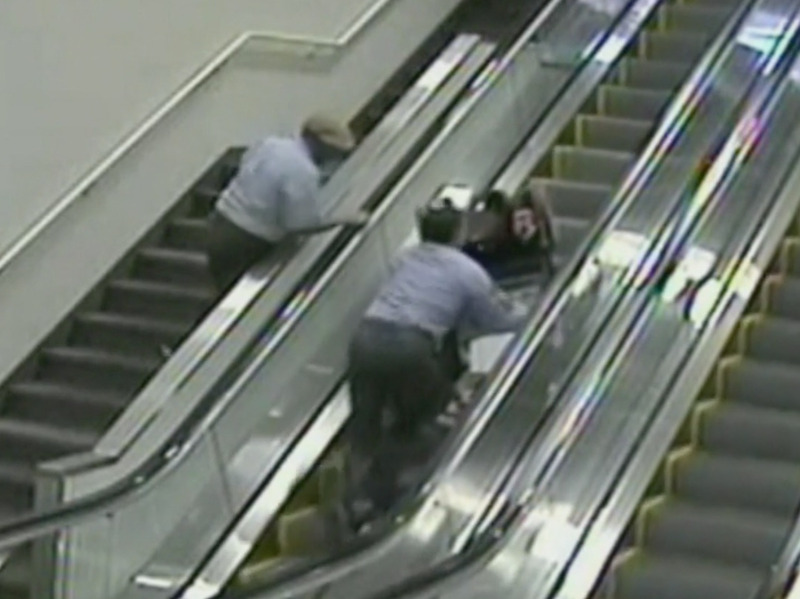 CBS NewsA video showed Bernice Kekona falling down an escalator in a wheelchair at Portland International Airport. A family is suing Alaska Airlines and a contractor after an elderly woman died after falling down an escalator in a wheelchair at Portland International Airport. The family had indicated that she needed assistance travelling between gates to a connecting flight when they bought her ticket, but a surveillance video showed the woman navigating the airport alone and eventually falling down an escalator. The woman had her right leg amputated below the knee as a result, and she died the day after the surgery. A family is suing Alaska Airlines and a contractor after Bernice Kekona, age 75, died after falling down an escalator while in a wheelchair at Portland International Airport, according to CBS News. Kekona’s family had indicated that she needed assistance travelling between gates to a connecting flight when they bought her ticket, but the family alleges that the contractor, Huntleigh – which Alaska Airlines hired to perform the service – did not fulfil its duties. According to the lawsuit, Huntleigh claims it was not told by Alaska Airlines that Kekona had needed the service. A surveillance video showed that after exiting her initial flight, Kekona navigated the airport alone before falling down an escalator headfirst and suffering multiple injuries. She eventually had to have her right leg amputated below the knee, and she died the day after the surgery. Though it doesn’t cite specific monetary damages, the suit says that Kekona’s medical bills were nearly $US300,000. The airline said that Kekona “went off on her own” after being helped into her wheelchair. “Their version of the facts isn’t true,” Brook L. Cunningham, the family’s lawyer, said in a phone interview with Business Insider. Cunningham denied that Kekona had rejected assistance, and said the family “called and confirmed three separate times” to make sure the assistance would be provided, adding that he believed that the airline was legally required to make sure Kekona was escorted to the gate for her connecting flight. Huntleigh did not immediately respond to a request for comment.